No movie review today. 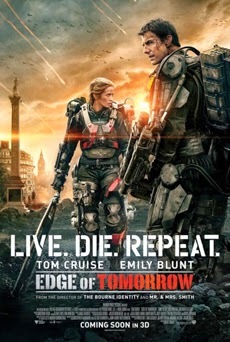 Since Transformers 4 received awful reviews, I decided it wasn’t worth sacrificing over two and a half hours of my life to watch mindless explosions. 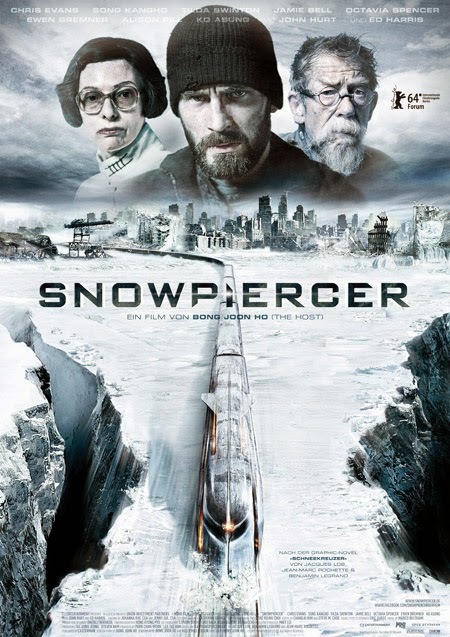 The real bummer was that Snowpiercer, which came out last year to rave reviews, only had a limited release here in the USA. How limited? One theater. In New York! Hopefully it will open to a wider audience soon, as I really want to see this film. Here’s the description: In this sci-fi epic, a failed global-warming experiment kills off most life on the planet. The final survivors board the SNOWPIERCER, a train that travels around the globe via a perpetual-motion engine. When cryptic messages incite the passengers to revolt, the train thrusts full-throttle towards disaster. According to ScienceFiction.com, Frank Darabont may direct the sequel to Snow White and the Huntsman. Good news for the ladies – the movie will focus on Chris Hemsworth’s character with no Snow White/Kristen Stewart in sight. Clarissa Draper’s second book is now out - The Electrician’s Code. Rachel Morgan’s The Trouble with Flying is now out. Brinda Berry got the rights back to her book and has rereleased Watcher of Worlds with a new cover. Do you like to read psychological thrillers? 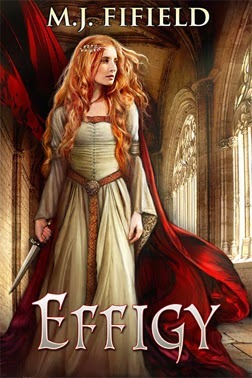 Well, Jessica Bell's giving away her latest release, WHITE LADY, for FREE, to every single person who signs up to the "Two Lies & a Truth" Blog Tour (taking place October 1 - 31). It's hassle-free. All you have to do is post what she sends you to your blog (or Facebook page) and Bob's your uncle. She will also be giving away a copy of the book to one lucky reader of your blog. More details and sign up form HERE. Yvonne Lewis was sweet enough to send a copy of her book to me! Arlee Bird provided the forward and is featured on the cover. 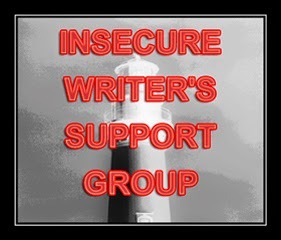 Don’t forget that this Wednesday is Insecure Writer’s Support Group post day! 80’s ET rip off meets 2000’s found footage nonsense – time to nauseate your kids. See any movies this past weekend? Been watching the World Cup? Picking up some new books? And what movies will you be seeing in July…? 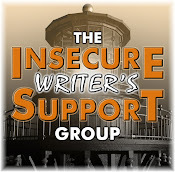 See you Wednesday for the Insecure Writer’s Support Group! The awesome Charity Bradford interviewed me and you can read it today. Short and to the point, plus I reveal the best compliment I’ve ever received regarding my writing. Big announcement last Friday – Rian Johnson will write and direct Star Wars VIII and possibly IX. Gareth Edwards (Godzilla and Monsters) is directing the first standalone film, which comes out December 16, 2016. Josh Trank (Fantastic Four and Chronicle) will direct the standalone film that comes out in 2018. On the writing front, I’m now on round three of edits. I like editing SO much more than writing the first draft! Anyone else weird that way? I had to add quite a few scenes after the first draft was finished, beyond just adding description. (I’m a bare bones writer.) The word count is over 70,000, which stuns me because when I hit the midway point of writing in my outline, it looked like I’d be lucky to hit 50,000 words. So I’m really happy with the current word count. I know, most writers have to cut stuff to hit a word count. Just how I roll. Today’s Themes That Rocked feature at the A to Z Blog is Bob Miline and his speculative fiction book covers. Carrie-Anne Brownian’s Little Ragdoll is out! 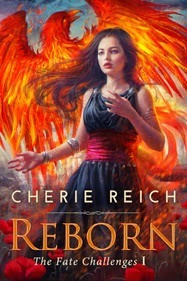 If you like epic historical fiction, check it out. Tara Tyler’s Broken Branch Falls comes out June 24!! 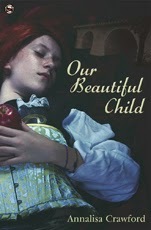 Add it on Goodreads now. Mark Noce’s story at Every Day Fiction got so many hits, they are doing a special feature on him this week. They also accepted another story of his last week at Every Day Fiction. Congratulations, Mark! 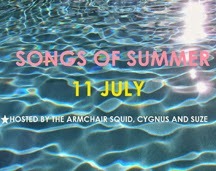 On Friday July 11, post your top five favorite summer songs – and why. 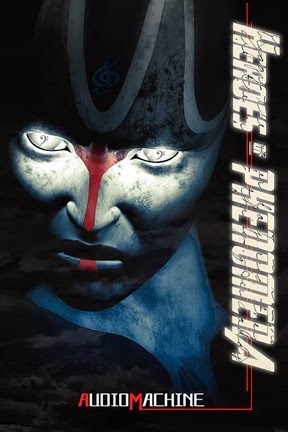 Don’t forget Heroes of PHENOMENA is now available for free at Amazon, Kobo, and Smashwords. It includes my short story, CassaFate, along with stories from a dozen other authors. And finally, has anyone heard from Fanny Barnes Thornton? She was taking a break at the end of May, but failed to return for the June IWSG as promised. Several bloggers have emailed her with no response. If you’ve heard from her, please let me know! I’d never heard of this film until it showed up on NetFlix. It turned out to be a surprisingly entertaining film! Good heist caper movie that features twists and turns similar to an episode of Leverage. Sorry to say, I didn’t laugh that much. As a character, Ron Burgundy works best in five minute spurts or less. However, if you liked the first one, you’ll like this one. Picking up some new books or signing up for the blogfest? Heard from Fanny recently? How’s your writing progressing? Seen either of those movies? And what do you think about the Star Wars VIII director choice? Don’t forget to visit Charity Bradford! 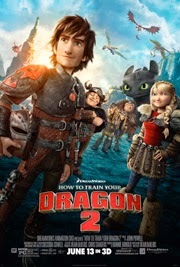 Hiccup, Toothless, and the gang are back for another great adventure! The characters have grown and now face new challenges. This tale takes them far beyond the boundaries of home and really expands the world in which they live. There’s a good balance of funny and serious. Be warned though that the serious is often dark, dealing with death, abandonment, and intense situations. This film is not for really young children. Animation is stunning and awesome in 3D. And no, Hiccup does not lose any more body parts! From the awesome Annalisa Crawford! Thanks for inviting me to your blog today, Alex, it’s an honour to be here, and I’m very excited. I always wondered what it looked like from this side. It’s nice, especially the glitter ball! When I was little, one of my favourite shows was Wonder Woman. I’m just a rookie-geek when it comes to comic books and superheroes, and I wouldn’t dare hold a conversation with a real aficionado – I have never read a comic book, they’d probably spot that! Everything I know about Woman Woman is what I knew when I was four – she’s got indestructible bracelets, a tiara that works as a weapon and a lasso (along with cool lasso skills). And, really, what more does a girl need? She was strong enough to lift cars, bend metal, and throw men across a room. I loved the way she spun around to get changed, and – as with all superheroes with secret identities – how she could disguise herself with just a pair of glasses! Until we discovered Wonder Woman, and span ourselves into a dizzy heap. But we looked cool while we did it, honest. I am pretty ecstatic that she’s going to be making an appearance in the Batman vs Superman film – just a year or so to wait! The talented Ella has had her artwork featured in many magazines. To gain more exposure, she needs your help – can you LIKE her work on the magazine’s Facebook page? Thanks! River Fairchild has released another tantalizing morsel of creepiness - Darkest Days, Blackest Nights: Tales of Lust, Greed, Vengeance, Death. Juliana Haygert’s latest book is out – Breaking Fences. Rachel Morgan’s book, The Faerie Guardian, is now part of this amazing boxed set, Girls on Fire. And a cool blog if you haven’t found it yet is Sleepy Bison’s MEKANIKAL, which features futuristic stuff like Bitcoin, emerging cryptocurrencies, science/tech projects, and sometimes silly stuff. The issues with Feedly last week meant I was relying on my sidebar to catch new blog posts. (My apologies to everyone I missed. Using the sidebar is time consuming and not always effective.) Since some of you were not listed in my sidebar, I made some adjustments. If you are a regular visitor here and you don’t see your blog listed, please let me know! All three of my books are on the Best Space Opera list at Goodreads. If you enjoyed them, please jump over and vote. CassaStar is still in the top five, but CassaFire and CassaStorm could use some love. I’m not sure why the critics were so harsh on this film. It’s another fun instalment, full of action, wit, and humor. It’s a bit too long, but other than that, a really good film. The storyline is very simple but it works. This film is as fun as the first one, with many laugh out loud moments. It’s definitely aimed at kids but will keep adults amused. Anyone else see Dragon 2 this weekend? Have you seen the other two films? Picking up some new books? Annoyed with Feedly last week? What food item do you want named after you? Can you help on Goodreads? 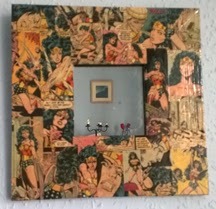 And if not Wonder Woman, how would you decorate your mirror…? Insecure Writer’s Support Group, June Movie Preview, Heroes of PHENOMENA, and New Releases! 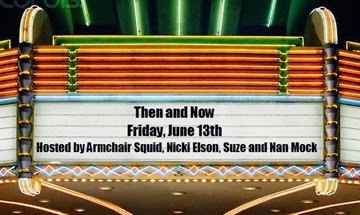 My awesome co-hosts for the June 4 posting of the IWSG are C. Lee McKenzie, Tracy Jo, Melanie Schulz, and LG Keltner! Despite the fact I’ve been on vacation since last Friday, I finished. I had plenty of down time to just relax, and I managed to pound out the last few pages. I began this project feeling a bit unsure. It’s still space opera but different from my Cassa series. There was also one aspect I wasn’t sure I could pull off. (How do you describe something no human has ever experienced?) But fortunately, it occurred at a very exciting point in the story, and I think I succeeded. I also have some sub-plots and scenes to add, and I’ll begin that process next week. But the first draft is basically done! 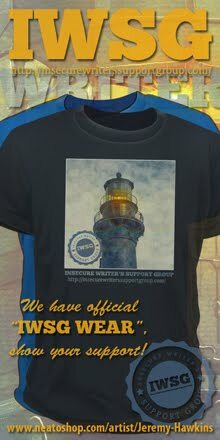 Be sure to visit other IWSG members. 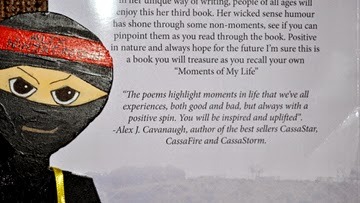 I was honored to be asked to contribute to this book, and my story, CassaFate, is inspired by the song Drakon's Empire. And as a bonus A Shot in the Light, Parts I-IV is only 99 cents through June 13. Tom Cruise dies repeatedly at the hands of a machine gun-toting groundhog! It's been five years since Hiccup and Toothless successfully united dragons and Vikings on the island of Berk. When one of their adventures leads to the discovery of a secret ice cave that is home to hundreds of new wild dragons and the mysterious Dragon Rider, the two friends find themselves at the center of a battle to protect the peace. The first ended with a metal foot and leg for Hiccup – is it possible this will end with his head on a stick? An automobile mechanic and his daughter make a discovery that brings down the Autobots and Decepticons - and a paranoid government official - on them. Wahlberg transforms into… the same character he’s played in countless other films. Glad to be back – did you miss me? Downloading PHENOMENA and Heroes of PHENOMENA? Excited about the new releases? What’s your writing insecurity today? And what movies will you be seeing in June…?